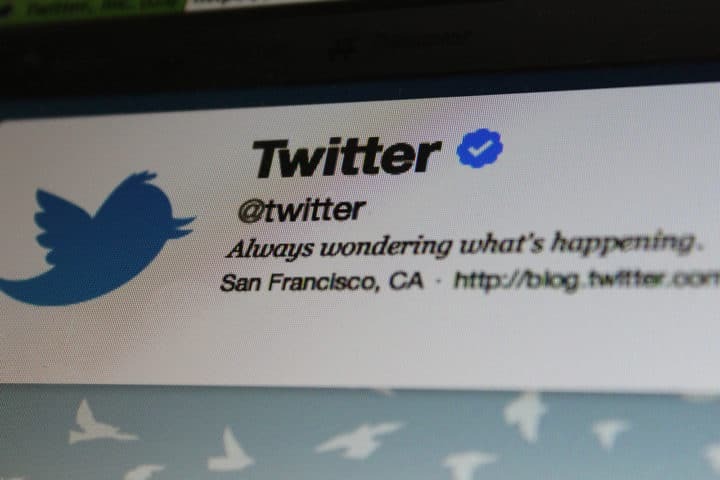 With over 300 million monthly active users and its enormous capacity for connecting, promoting and branding a company, Twitter is “a must” network for every brand out there. You have probably already checked up a few apps and tools to enhance your Twitter experience – and we are presenting you with the elite of Twitter tools. 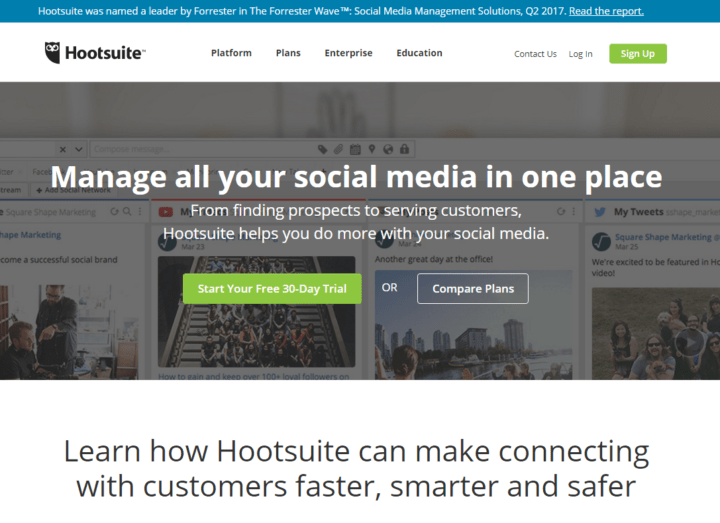 The good ol’ HootSuite has reached millions of users thanks to the integration of more social networks (Facebook groups, LinkedIn pages ) and to its AppDirectory that now allows users to share content through more platforms. This is a true social management deck where virtually everything you need to see is happening in one place. Besides from auto-tweeting your latest blog posts and scheduling your tweets, it allows you to manage multiple profiles and add other team members. HootSuite can be used for scheduling tweets, monitoring specific keywords and Twitter Advanced Search results, your mentions, etc. To do that, just take your search string which you got from Twitter Advanced search (such as social media -http:// lang:en ?) and just copy-paste it as a new HootSuite stream. Two more things that go in favor of HootSuite are its very reasonable pricing and the ease of use. This is a fantastic answer to the issue of community management on Twitter, when you start growing in numbers, and tracking and engaging with your followers comes near to impossible. By creating reports, it makes it really easy to see who you are interacting with, who is mentioning your brand and determining the potential leaders and influencers: the tool suggests you which people you should follow, as well as the inactive members, to unfollow. It also has a valuable section where you can find leads – those who have engaged with your account or shared shortened links to your websites but aren’t your followers. Scheduling your updates is a great idea. It allows you to spend half an hour a week queuing your tweets so that the rest of your social media time allowance can be spent engaging with your audience. 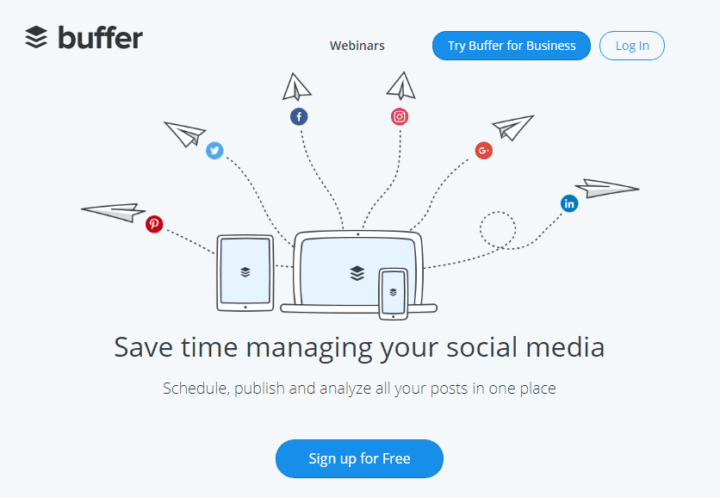 Buffer allows you to manage multiple accounts, not only on Twitter but also Facebook, LinkedIn and more. You can create custom schedules to control exactly when your updates go out, and the analytics feature is pretty useful too. If you aren’t worried about spending some money to get new followers, than FeaturedUsers is the app you want. 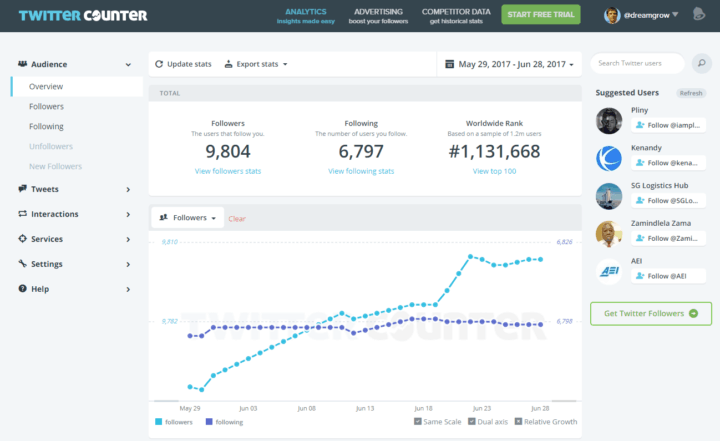 No, it’s not “buy the followers” kind of thing – actually, you are buying banner impressions which get your Twitter profile displayed on numerous other applications, ensuring more visibility, i.e. more followers. And even with relatively cheap packages, you’re almost guaranteed to get a noticeable increase in number of quality followers. 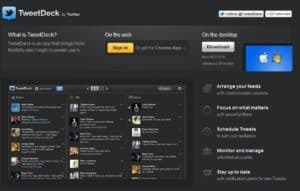 TweetDeck is a social management platform where you can add your accounts from Facebook, LinkedIn, Foursquare and multiple Twitter accounts. This allows you to monitor several feeds at once, and you can post tweets to any number of your accounts simultaneously. 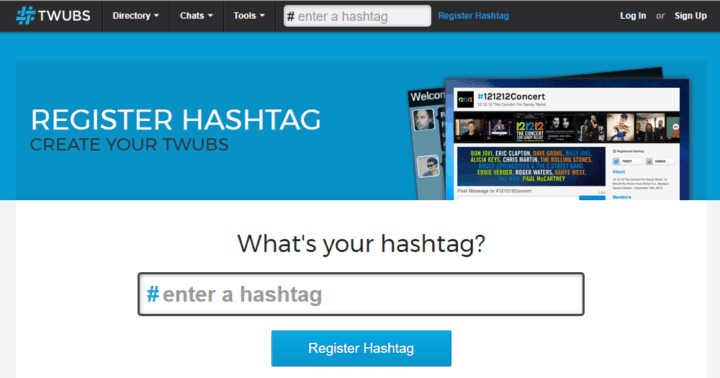 In addition, you can search specific hash tag results to monitor what is being said around a particular topic. Another great feature is the ability to schedule tweets when you’re away from the keyboard. Tweetdeck has been bought by Twitter making it a safe bet for your Twitter management. Followerwonk is a great tool for searching through Twitter users bios. For example if you are interested in following people who are interested in Human Rights, then you can search for this term and have a list of people who mention it in their bio. There’s the option to add them from the list here, so it’s an easy way to follow people who have similar interests to you. 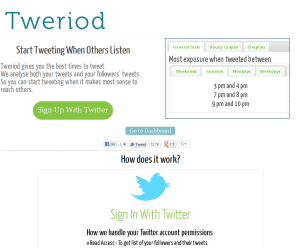 Tweriod lets you know when is the best time to tweet, by taking into account different parameters that ultimately provide very accurate result. It looks at your past tweets and the tweets from your followers. The app is free, you sign in with your Twitter account, and then it takes it about 30 minutes to generate the report, which contains: four best times for your tweets to gain exposure, an hourly graph that shows when your followers are online the most, an hourly @replies graph. To make the most out of the data you get, you will have to test it, but this little tool will make it really easy to do. 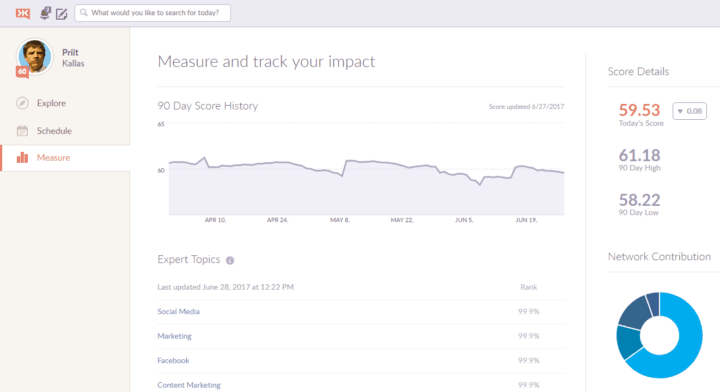 While Klout isn’t exactly analytical and only Twitter-specific, it will still give you some insight into how influential your peers are. Klout is useful for finding other likeminded users, who converse on the same topics as yourself. 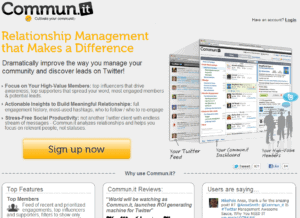 Twittercounter lets you monitor and benchmark your twitter stats against others. 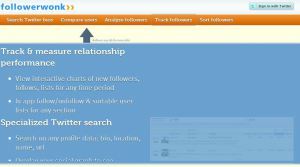 Twittercounter’s free version features statistics about followers, people you’re following and tweets. Twittercounter is very useful for quick benchmarking. 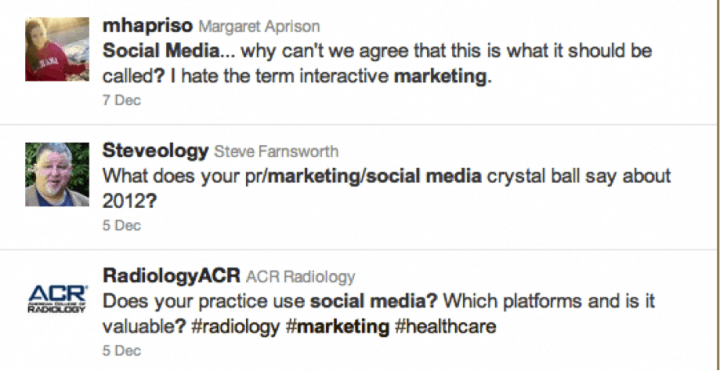 There’s a good chance that your brand or the keywords related to your industry are being mentioned on Twitter. Then again there is a lot of spam and self-promotion that you want to filter out. This is where Twitter Advanced Search comes into play. Twitter advanced search lets you search by exact phrase, filter out words that you don’t want to include, search by hashtags, language, filter content by positive and negative interactions, filter out questions, etc. Now that you have found some conversations see if you can jump in and add anything to them. For example, if someone is asking a question regarding your field of expertise which you know the answer to, you should help them out by replying to their tweet. This is a great method to influence people – you are actually helping them in one way or another. Friendorfollow is a simple tool, which ables you to find out who unfollowed you on Twitter, which users that you’re following you aren’t following you back and which users are following you that you aren’t currently following. Market Presence: Brandable, Media-Rich Hashtag Landing Pages Branded hashtag pages are the missing link for any hashtag marketing strategy. They are the perfect place to send your audience! Great for Conferences, Twitter Chats, Small Groups and more. 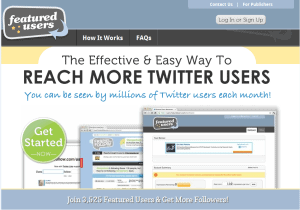 Got another great Twitter tool to add? Please leave a comment below!